In early December, N.E.S.T. 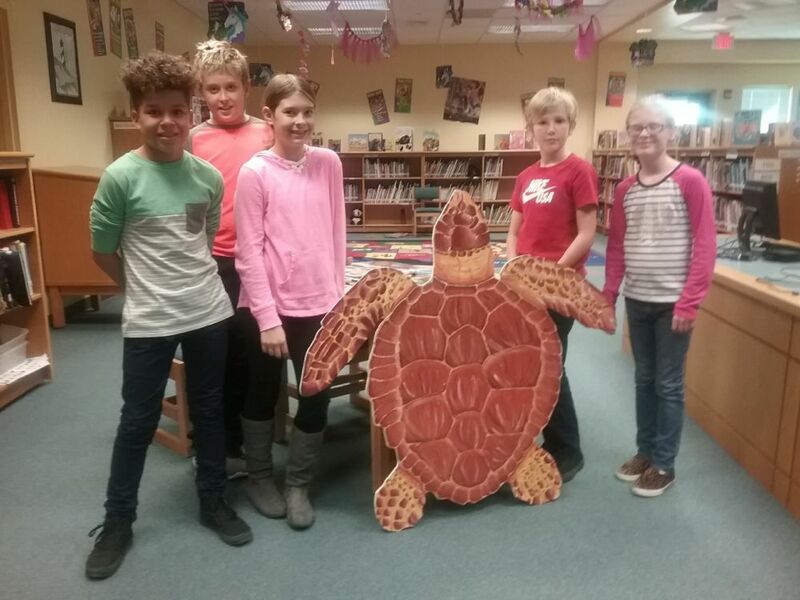 volunteers delivered a life size model of a loggerhead sea turtle to Nags Head Elementary School (NHES) with much excitement. It immediately found a home in the library, so all the students could appreciate and admire the beautiful loggerhead. This also allows all grades to use the model and include it in their curriculum work. The Principal, Dr. Adrienne Palma, decided a naming contest would be fun for the school and provide this beauty with a name! The contest was run out of the library and the participation was outstanding….a big box was stuffed full of entrees. Louise Vance and I arrived at NHES early one morning just before Christmas and spent several hours in a closed room sorting through the names…there were many fun and clever entrees and the winning name elected was “Surfer”… thereafter the model officially became “ Surfer the Loggerhead “!!! 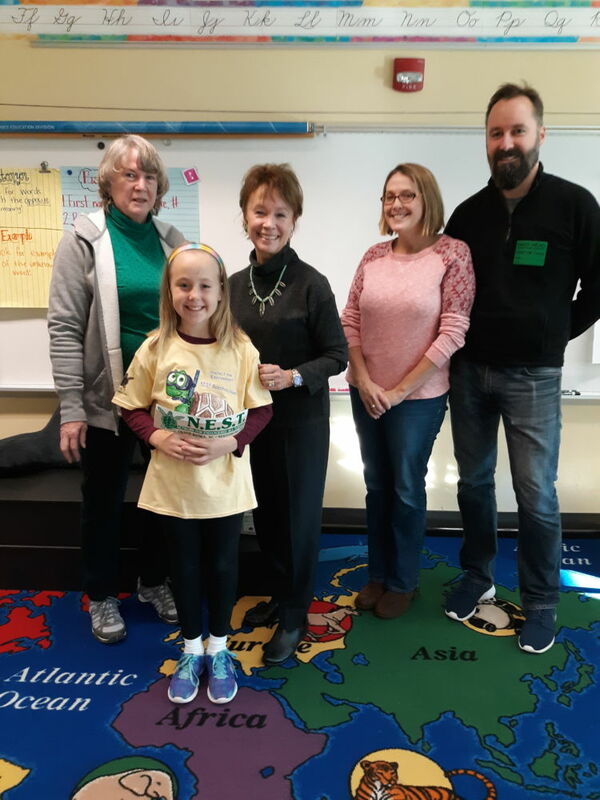 The winning name was put forth by third grader Natalie Rollins. The winner was announced the day before Christmas break and during the first week in January Louise and I went to NHES to present Natalie with her N.E.S.T. t-shirt. The entire class clapped as Natalie received the yellow t-shirt (her favorite color)!! It was a good time and Natalie’s parents were there too. Mrs. Rollins said everyone in the family was a HUGE turtle supporter… a fun successful event for all.